There is a rich culture of museums in Italy that Italians are happy to share with locals and tourists alike. There are many ways to take advantage of this, but many come with their own pros and cons. In the months I’ve spent in Italy, I have learned a lot about the risks and rewards that come with planning tours. In this post, I’ll weigh out all of your options, so that you can make the best choice for you and your group. Additionally, I’ll add some tips I’ve picked up on, so that you can make the most out of your Italy experience! There are so many incredible museums in Italy to see. And they are all worth a visit. However, between spending time, money, and patience, it is almost impossible to see them all. In this case, a little research goes a long way. If you look up your intended city, you’ll find out which museums are most famous. Each big city has its top one or two, and in my opinion those are usually worth a visit. Additionally, there are always several more museums in each city that can range from almost as famous to basically unheard of. Here is where you’ll want to do a little more research. For example, in Florence, the two most famous museums are the Uffizi and the Accademia. I can confirm they are both worth the hype. 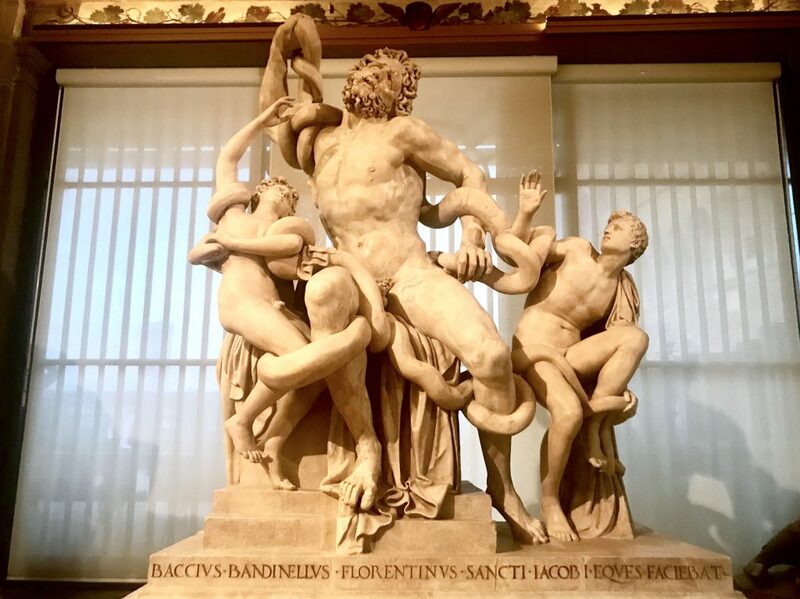 My recent tour of the Uffizi gave me a much deeper appreciation for Florentine art history, and I have strong memories of the Accademia from visiting even as a small child. But along with these legendary museums in Florence, there are many less famous museums you might want to see. Some are specific to famous artists and geniuses – like the Galileo Museum or houses of Dante and Michelangelo. Some are specific to historical periods, like The Museum of the Innocents and The Work of the Duomo Museum. In any city, look into what these museums celebrate and choose the ones that mean the most to you. If you’re a science nerd, check out the telescopes in the Galileo Museum or inventions in the Leonardo Da Vinci Museum. Many museums offer student discounts, so it is important to remember to bring your ID with you! Ask when buying your tickets if there is a separate student rate. Additionally, there are certain days where all museums in Italy are free. For example, the first Sunday of every month, most museums are free. There is also a “Culture Week” from March 5th to March 10th during which most museums are free of charge. 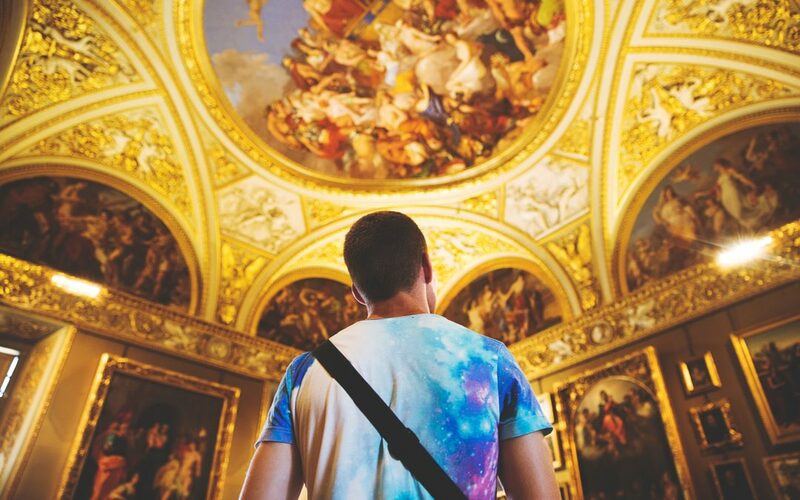 This is a great way to save on museum tours if you are a frequent visitor. However, these days mean incredibly long lines. If the free visit is worth the long wait, take advantage of it! Just try to get there as early as possible in order to get a better spot. 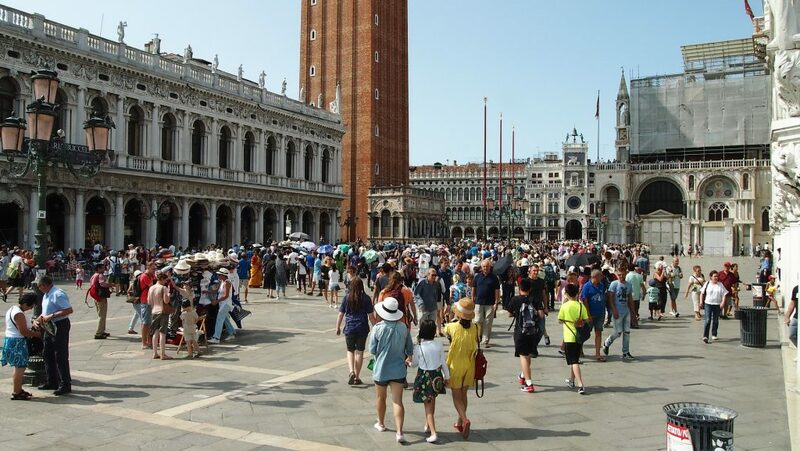 It’s important to keep in mind that, during busy season, many museums in Italy have very long lines – even without free access. If you are going during the spring or summer, it is highly recommended to take advantage of a skip-the-line pass. These passes come at a higher price than the regular tickets, but to locals and tourists alike they are worth every penny. My host-mom has lived in Florence for much of her life, and would only visit the Uffizi with a ticket to bypass the line. She said it’s just too long of a wait otherwise. If you decide against the skip-the-line, or go on a free day when they are not available, do little things to make yourself more comfortable. During slow season, going early in the morning or on a weekday should be enough to minimize the crowd. During busy season, also bring a water bottle and wear a hat or sunglasses to make waiting outside a little easier! Along with long lines, there are large crowds within museums in Italy. 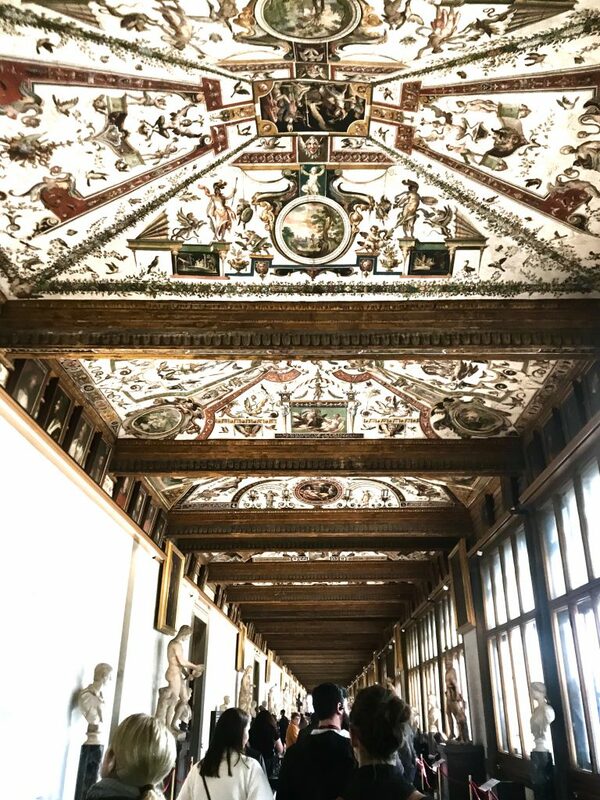 I took my tour of the Uffizi during slow season, which meant the crowds were very manageable. I was able to get close to the paintings without waiting for very long behind others. If you are not able to go during the slow season, try to go on weekdays or to get in line early. This will help minimize the crowds. During the busy season, even if you are able to skip the lines, there will be a lot of congestion close to the paintings. Be patient with the other tourists and with your guide. Think about which paintings you’d like to wait to see closely, and which you can enjoy just as much from afar. The crowds can be a lot to handle, but it is worth it to enjoy paintings by some of Italy’s most famous artists. And, as is the case with any densely crowded city area, be aware of your surroundings and belongings. 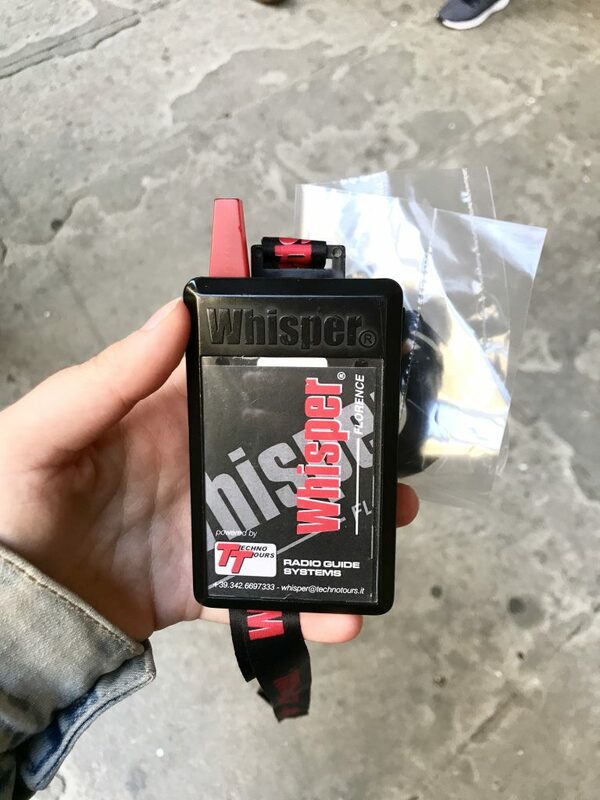 Keep your wallet and phone somewhere on your person that would be difficult for a passerby to access. Along with long lines and large crowds comes a lot of walking. (And standing.) It is slow moving through museums in Italy, and the tours can sometimes take hours. Especially since you’ll probably be walking from your hotel to get there, it is crucial to wear comfortable shoes. Something I often struggle with is when to dress up vs. when to be comfortable. Since Italians usually dress nicely, it can be hard to blend in wearing sneakers and a baseball cap. However, with these long tours, it can be worth it to look like a tourist. Between the long walks on cobblestone and hours standing in the museum, sometimes it’s better to break out the sneakers. Bags and backpacks can be difficult to carry around. Several museums in Italy have lockers or a bag check at the entrance/exit that can be used free of charge. At some, like the Accademia, you have to keep your bag with you. Backpacks are much more comfortable than totes or purses after a long period of time, but can feel big and awkward in museums. A great way to compromise is to invest in a one-shoulder backpack. These are worn more like a cross-body and are easier to keep out of the way. Plus, it is comfortable to wear as a purse if needed.